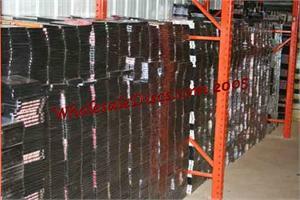 This is our best selling DVD collection. It is a collection of 100 assorted DVD's. We will include as many different DVD titles as possible(there will be some duplicates). Buy this DVD lot and give everyone on your Christmas list a few DVD's! These DVD lots are in short supply and may go out of stock at any time. Approximate Retail Value Before Liquidating: $2,000.